The present investigation was carried out to develop an efficient regeneration protocol for Tecoma stans L., a valuable antidiabetic plant, using shoot tip explants. The effect of different concentrations (1.0–10.0 µM) of benzyl adenine (BA), kinetin (Kin) or isopentyl adenine (2-iP) either alone or in combination with different concentrations (0.1–2.0 µM) of α-naphthalene acetic acid (NAA) was evaluated for in vitro shoot bud induction and proliferation. Of the tested concentrations, MS medium containing 7.5 µM BA + 0.5 µM NAA proved to be optimal for the maximum (91%) regeneration with mean shoot number (9.8 ± 0.48) and length (4.36 ± 0.33 cm) after 8 weeks of incubation. The best in vitro rooting in regenerated microshoots was achieved on MS medium supplemented with 1.0 µM IBA, which produced a mean root number (6.8 ± 0.58) and length (4.24 ± 0.29 cm) after 4 weeks of incubation. The regenerated plantlets with well-developed roots and shoots were successfully acclimatized in thermocol cups filled with soilrite, for 8 weeks, in growth chamber. Thereafter transfered to field conditions where they grew well in garden soil with 80% survival rate. During the acclimatization period (0–56 days), a subsequent increase in the content of photosynthetic pigments (chlorophyll a, b and carotenoid) was observed up to 56th day. On assessing genetic fidelity among regenerated plants through RAPD analysis, no polymorphism in banding pattern was observed with that of donor plant, thus indicating clonal stability among micropropagated plants. 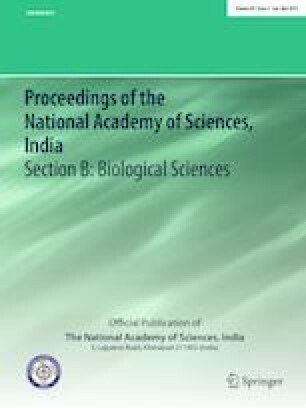 No plant tissue culture report is available for micropropagation of this important antidiabetic plant using shoot tip explants and thus, an attempt has been made to generate an efficient and reliable protocol. Through this protocol, T. stans plants can be reproduced on large scale without any genetic variation and can survive well during the ex vitro establishment. This regeneration method is simple, efficient and amenable for commercialization of this important medicinal shrub. The authors extend their appreciation to the international Scientific Partnership Program (ISPP# 0082), at King Saud University for funding this research. The award of UGC-BSR Faculty Fellowship (2017) to one of the authors by the University Grants Commission, New Delhi [F.18-1/2011(BSR)], is duly acknowledged. One of the authors is thankful to the University Grants Commission, New Delhi (MANF-2013-14-MUS-JAM-22128), for the award of SRF under MANF. The authors declare that there is no conflict of interest to publish this manuscript.